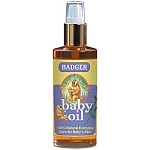 This great balm can be used to soothe diaper rash, and boo boos. 2 oz net wt. Base ingredients= Organic Extra Virgin Olive Oil, Organic Golden Yellow Beeswax, Organic Castor Oil, Organic Calendula Extract and Organic Essential Oil of Roman Chamomile.